Hi everyone! Today I've got a little bit of a different post for you. I've been following Victoria at Victoria's Vintage for a couple of years now, and have always been in awe of her numerous competition wins! When she posted about this fantastic competition she is hosting in association with AbleSkills, I knew I had to get involved! 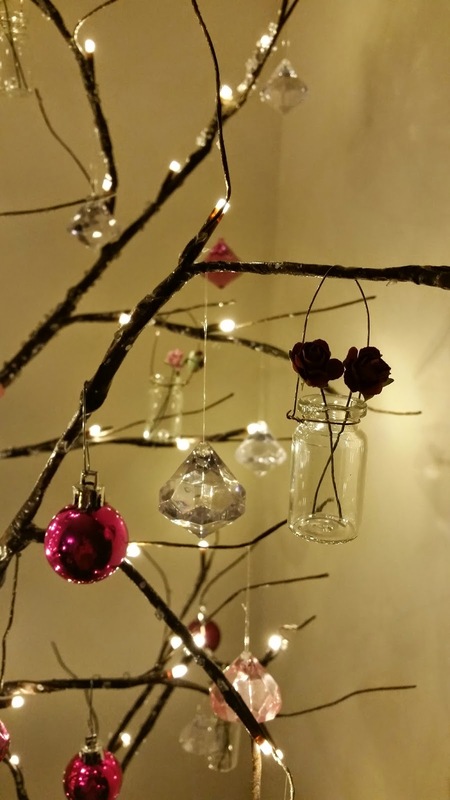 The main jist of the competition is to create a Christmas DIY, making use of a small space. As soon as I read it, I knew exactly how I could put my spin on the requirement. Our lounge is very long and narrow, so not very practical for a giant real Christmas tree. 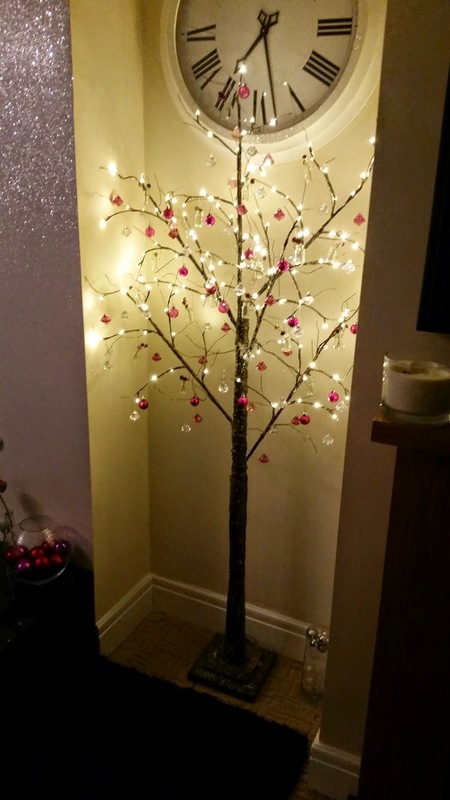 We usually just have a small artificial tree, but this year I decided to do something a little different. 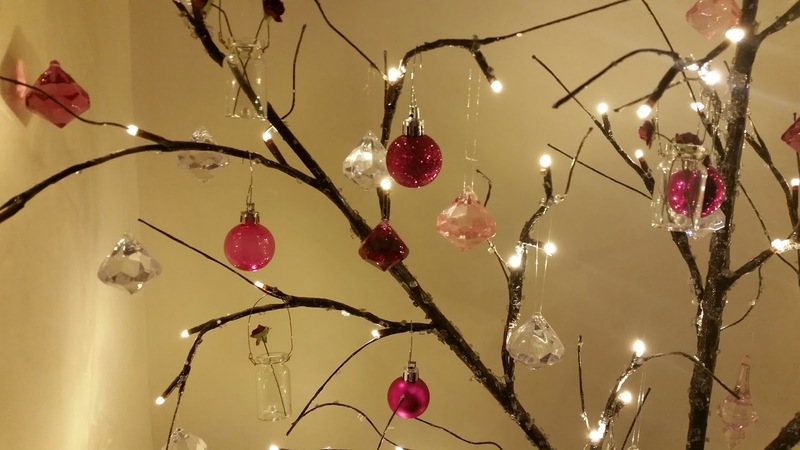 Decorations wise, I used fairy lights, plastic jewels, mini pink baubles, and glass jars with tiny artificial flowers inside. 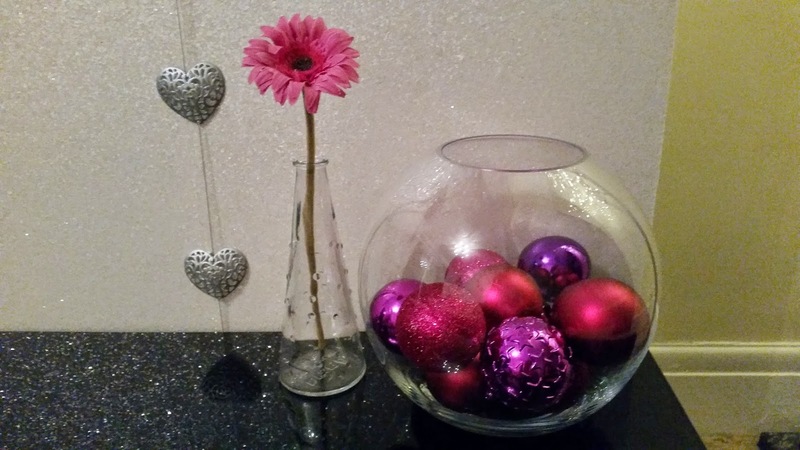 I also bought some larger pink baubles that didn't quite sit right on the tree, so not wanting them to go to waste, I filled some decorative "fish bowl-shaped" containers with them instead! 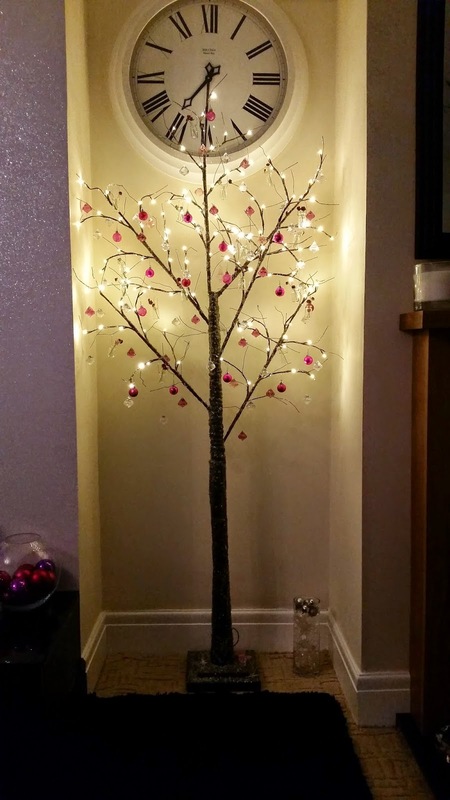 I am so pleased with how our "Christmas tree" has turned out, and cost under £10 to decorate! 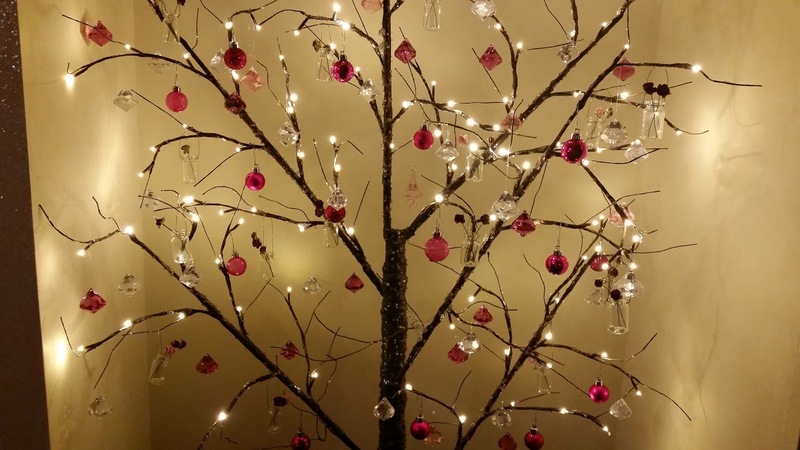 I now feel like it's really almost Christmas (because what's Christmas without some sort of tree?!) and I've received so many complements on it already! 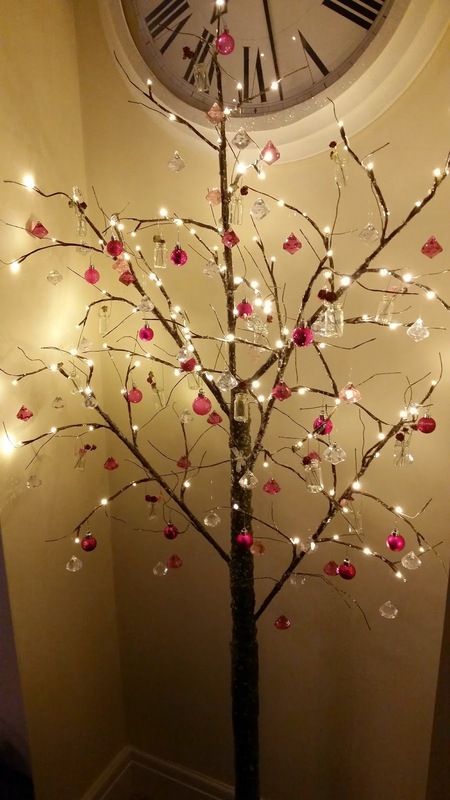 I hope I've shown how you can have a "Christmas tree" even if you are short on space! Huge thanks to Victoria and Ableskills for running this competition, and if you feel like participating, you can do so here. That looks so pretty! The Christmas Tree looks so gorgeous and it's something so different to anything I've seen before! It fits the space perfectly.